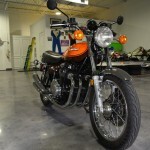 Restored 1973 Kawasaki Z1 900 Motorcycle. 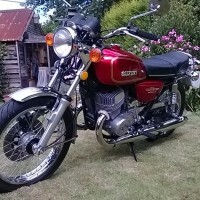 This lovely Kawasaki was restored by its owner. 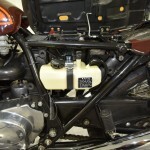 The gas tank, side covers and tail section were professioanlly painted. The original tank badges and side cover emblems were used. The grab rail and shocks were re-chromed. 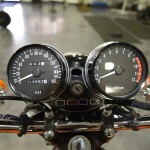 New old stock hand grips were sourced from Japan. 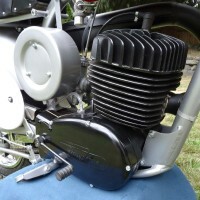 A new reproduction Doremi Collection 4-into-4 exhaust set was fitted. 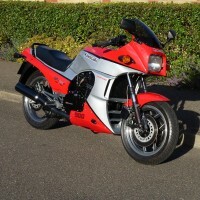 The frame, swing arm, battery box and all black parts were powder-coated gloss black. 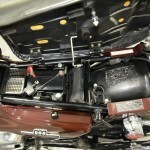 Chrome, stainless or zinc-plated nuts and bolts were used throughout. The original wheel rims were rebuilt with new stainless steel spokes and fitted with Dunlop tyres. 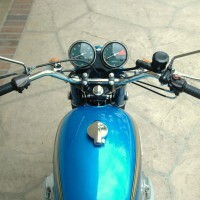 Reproduction front and rear turn signals were fitted. 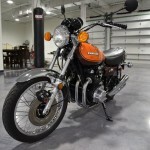 A great restored Kawasaki Z1 900 motorcycle. 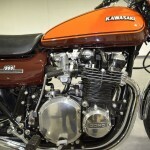 Kawasaki Z1 900 – 1973 For Sale or Wanted? 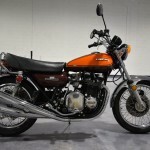 If you're looking for the perfect Kawasaki Z1 900 – 1973 for sale then take a look at the hundreds of restored classic motorcycles listed on our extensive Motorcycles For Sale pages. 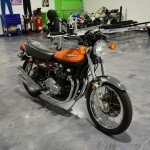 We regularly feature very nice restored Kawasaki Z1 900 – 1973 bikes for sale. 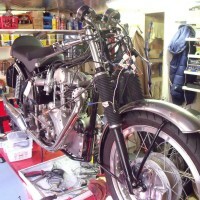 Spares and Parts for your Kawasaki Z1 900 – 1973? 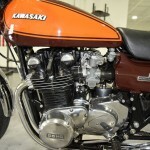 Workshop Manual for your Kawasaki Z1 900 – 1973?